Good morning everyone!! Since it is a beautiful morning and spring is fast approaching, why not sit back, relax, and enjoy a nice warm cup of coffee? 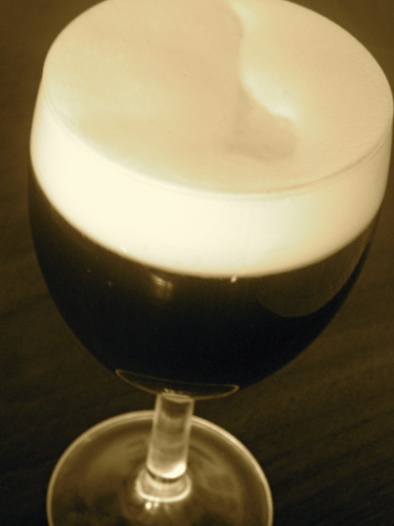 But wait, how about trying an Irish Coffee!? Now we're talking my kind of language! Of course, I could not have one of these every morning, as I would never make it to work, but on the Sunday before St. Patty's Day, why not indulge!? 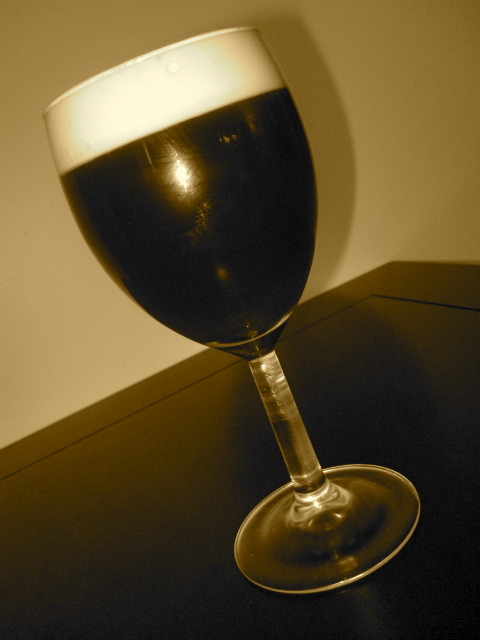 Traditionally, Irish Coffee is made with only a few simple ingredients: coffee, whisky, brown sugar, and heavy cream. Many different recipes have stemmed from this original recipe, and many of those recipes also tend to include Bailey's Irish Cream. This is of course optional. I personally prefer Irish Coffee without Bailey's because you already have the heavy cream in it, and I like to see the distinct separation of whipped cream on top. It always reminds me of a Guinness! I technically do not have the proper mug to serve an Irish Coffee in, but any smaller sized glass will work! Pour the whisky and brown sugar into a warm glass. Then, pour in the coffee until the glass is 3/4 full. Very lightly whip the heavy cream so that it thickens slightly, but not to the point that the cream forms peaks. Carefully pour the cream over the top of the coffee so that it does not mix in right away. For presentation purposes I love the separated look between the coffee and the cream, but once I drink it the cream mixes in anyway! Yum looks great! I love the separation of the cream and coffee too. That looks beautiful! I want one... lol! Ohhhh yum! I love the separation of coffee and cream. I so would love that RIGHT NOW!